COMPRESSED NATURAL GAS – TIME TO CONVERT! I read business news basically nonstop. And compressed natural gas or CNG as its referred to is constantly in the news. Mostly because it’s one of the USA’s largest energy finds the last few years. 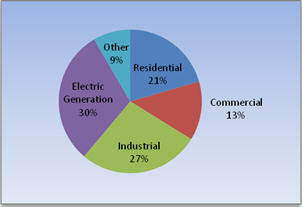 Yet we don’t use it for hardly anything when compared to our other energy options. With the advances in energy producing from “Fracking” there is an incredible amount of supply. And yet low demand. Notice that there isn’t even an automotive category on the use graph. I am surprised and highly aggravated about what I’ve found. If you find this at all interesting then check out the link to the Wiki at the bottom of this. 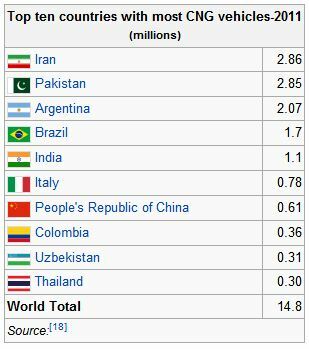 Notice the US isn’t even in the top 10 countries with CNG vehicles? But a couple of the big oil countries are. And how about China already half way up the list? Natural gas powers more than 12 million vehicles on the road today. Unfortunately, only 112,000 of these are being used in the U.S. The average growth rate in the U.S. shows a 3.7% increase per year since 2000, as contrasted with a booming global growth rate of 30.6% per year. Would you pay $2,500 to lower your automotive gas prices immediately to $1.10 – $2.10 a gallon? Of course not everything is rosy with this scenario. You may have to drive miles out of your way to fill your tank. Unless you pay another $2,000 – $4,000 then you could gas your car in your garage for the same $1.10 – $2.10 a gallon. That’s pretty awesome. 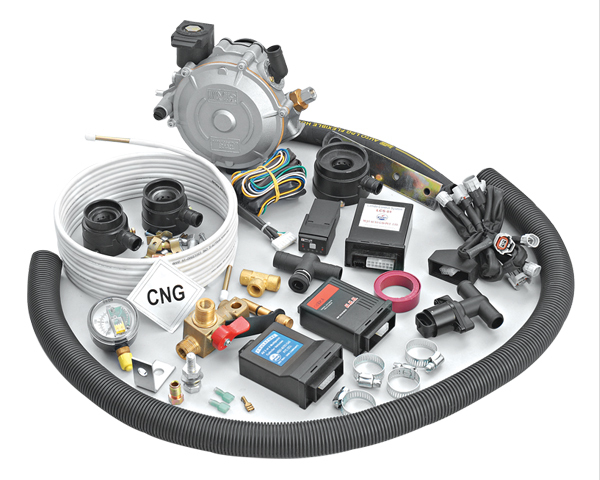 In-fact your home fill rate is typically the cheapest price CNG because the utilities home natural gas rate averages about $1.10 per gasoline gallon equivalent, or (gge) as its called, nationwide. Natural Gas is a gas at room temperature, not a liquid like gasoline is. 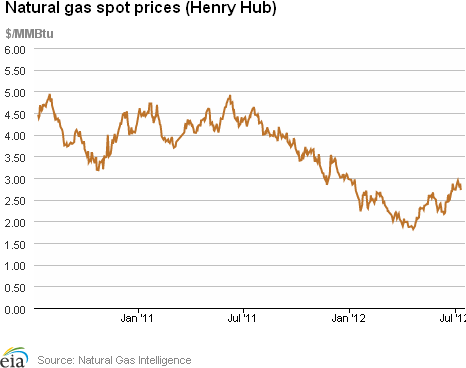 So they refer to the price of natural gas for vehicles in (gge). Check out the link at the bottom to see how close you are to a CNG fueling station. I haven’t mentioned that your car is going to last longer because your running 120 octane fuel. And you’re putting out about 30% fewer emissions? And the power supplied is as good if not better. 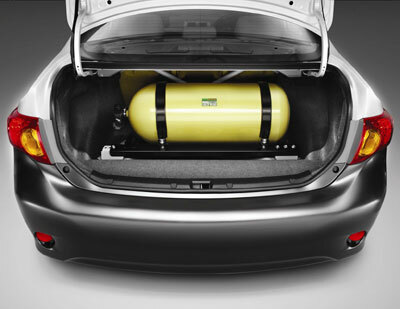 More than likely you’re going to lose most of your trunk space because that’s where you’re going to have your new fuel tank installed. 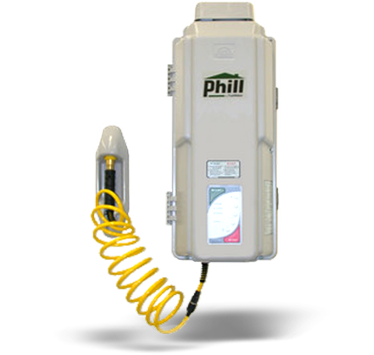 Because your going to want to keep your regular tank so you can run gasoline OR CNG whenever you choose. That’s the thing that sells me on this, if I can’t find a CNG filling station before I run out that’s ok, keep a couple gallons of regular fuel in my tank and the system will automatically switch over. This seems to be pretty much a no brainer. I’ve looked into getting “off the grid” with solar panels. Those run from $12 – $25K To set up a proper system to power a normal house at its normal usage. What’s that going to save you/me? About $200-$400 per month on our power bill right? Install a wind turbine at your house? Nope, aint gonna happen. Way too many issues with that, and the output is sadly nowhere near what a home needs. Not to mention were at the mercy of the wind with that one. The parts to convert your vehicle are surprisingly few. The most expensive part is the tank. The conversion kit will run you $500 – $800 for the changeover parts, and from $400 – $1,200 for the tank. The reason for the different tank prices is you can get them in many sizes which provide differing (gge). The tanks are made of many different materials from very heavy steel, which is cheap, to carbon fiber wrapped plastic which is very light and expensive. It takes a mechanic roughly a day to install this for you. So pay a mechanic $65/hr to do this, and you have another $550 expense. But then that’s it, your filling up for $1.10 – $2.10 gge! So here’s the aggravating part. It costs $6,000 – $12,000 to have a professional shop convert your vehicle! Why is that when I just explained how much the real costs are? Well the EPA has some very strict requirements on people converting vehicles to any other fuel. The EPA requires that every shop that does conversions get a permit/certification that costs $10,000 per engine type per year! So if I want to open a shop to do Toyota models from 1995 – 2005 there are 10 engine types, so $100,000 to the EPA! Thus its very hard to have a “legit” shop offering this service. And if you do their price to offer this service will have to incorporate the EPA’s fee. Thus the prices you will get quoted at a “legit shop” are cost prohibitive to having it done. In most of the other countries around the world the cost is between $700 – $1,200 for the entire conversion. That is why they are converting at such a faster rate. The US has offered, and spent, how many Billions in incentives for other alternative energy types that don’t work that well? Don’t get me wrong I love, love, love Hydrogen power. I really like photo-voltaics, and wind is pretty cool. But CNG is now, and it works! Its effort and cost to entry for the common person is easy and low. I’m not saying the Gov hasn’t put money behind CNG, but nothing like the effort for the other techs. And the EPA situation is one that seems rather arbitrary and against everything they supposedly stand for. 30% lower emissions and a fuel that we don’t import from a foreign source? Hmmm… I really am not a conspiracy guy, but even I can’t help but see this one. This entry was posted on Wednesday, July 18th, 2012 at 11:15 pm	and tagged with alternative energy, cars, cng, compressed natural gas, convert to cng, energy, energy prices, fuel, fuel prices, gas prices, transportation, vehicle conversion and posted in Energy. You can follow any responses to this entry through the RSS 2.0 feed.